Forming pottery by pouring deflocculated (water reduced) clay slurry into plaster molds. In the process the absorbent plaster pulls water from the slurry and over a period of minutes a layer builds up against the mold surface. 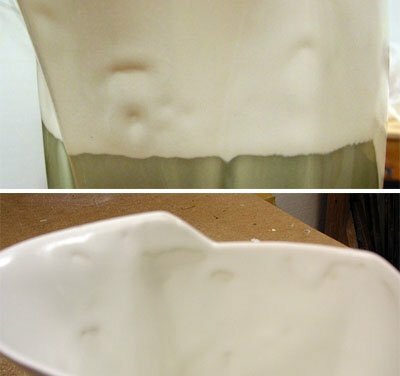 The slurry is then poured out and within a short time the item shrinks slightly and can be removed from the mold. The sanitary ware industry produces the largest tonnage of products using this process. Water closets and sinks are made by casting porcelains in very complex many-part molds. Molds are heavy, cast sections are thick and take considerable time to release and extract from the molds. 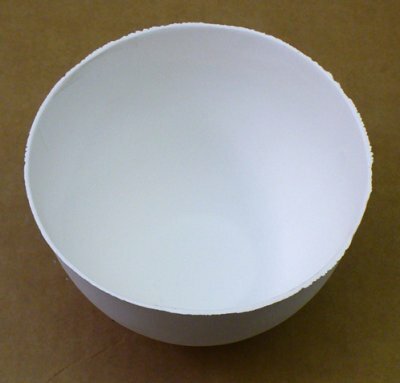 By contrast, fine delicate porcelain items can be cast very thin and quickly. But almost any type of powdered ceramic can be made into a slurry and cast. 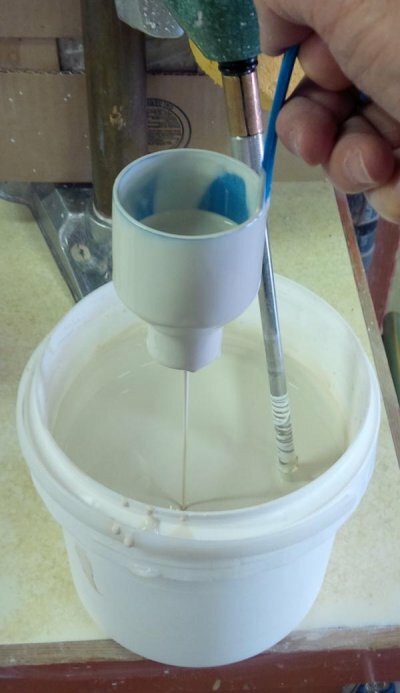 If the slurry can be suspended and deflocculated, it shrinks enough on drying and has enough strength to hold itself together as it pulls away from the mold, it can be cast. Even non-plastics like calcined alumina and silicon carbide can be cast by incorporated small additions of plasticizers and binders. 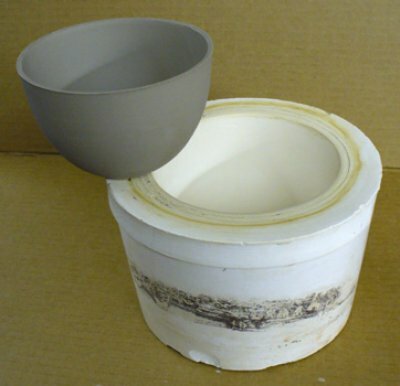 Since the whitest burning clays and low plasticity, casting lends itself to producing white burning ware. In industry, casting rate is important. Items need to cast quickly (build up a layer against the mold) and extract from the mold quickly (shrink away and hold together as extracted). Molds need to be dried rapidly. Much automation has been devised to speed these processes. In addition, much can be done to fine-tune the balance of permeability and plastic strength of a body. It is important to understand the role of each material in the body recipe and other options for each of those materials. 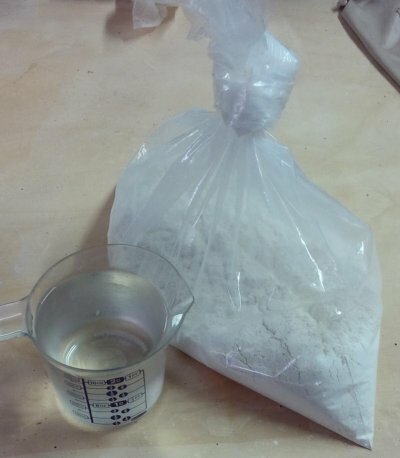 A typical industrial casting body has much more kaolin, less ball clay and usually no bentonite. A plastic throwing body, by contrast, could have nothing but ball clay as the plastic component in the recipe. Some industrial casting bodies go even further, selecting kaolins of large particle size, since these are more permeable to water. This is not to say that high ball clay (or other plastic material) bodies cannot be cast, they can, it just takes longer. The standard low fire white casting body recipe is 50:50 ball clay and talc. Because casting bodies are relatively non-plastic they have low drying shrinkages and ware can be dried quickly with much less likelihood of cracking. With a simple open shape like this a thin wall (2-3mm) bowl can be cast in minutes and removed from the mold in minutes more. No other method can produce such thin and even ware with this kind of ease. These are part of the procedure for the SHAB test. The length of the bars is entered into a recipe record in your account at insight-live.com. 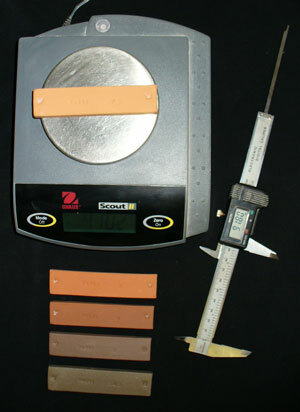 When Insight-live has these numbers it can calculate the drying and fired shrinkages. This cone 6 white glaze is crawling on the inside and outside of a thin-walled cast piece. This happened because the thick glaze application took a long time to dry, this extended period, coupled with the ability of the thicker glaze layer to assert its shrinkage, compromised the fragile bond between dried glaze and fairly smooth body. To solve this problem the ware could be heated before glazing, the glaze applied thinner, or glazing the inside and outside could be done as separate operations with a drying period between.